"Keep your classic collar shirt smart and crisp with these solid brass collar stiffeners. Buy today and they'll last forever." "Curled collars begone. 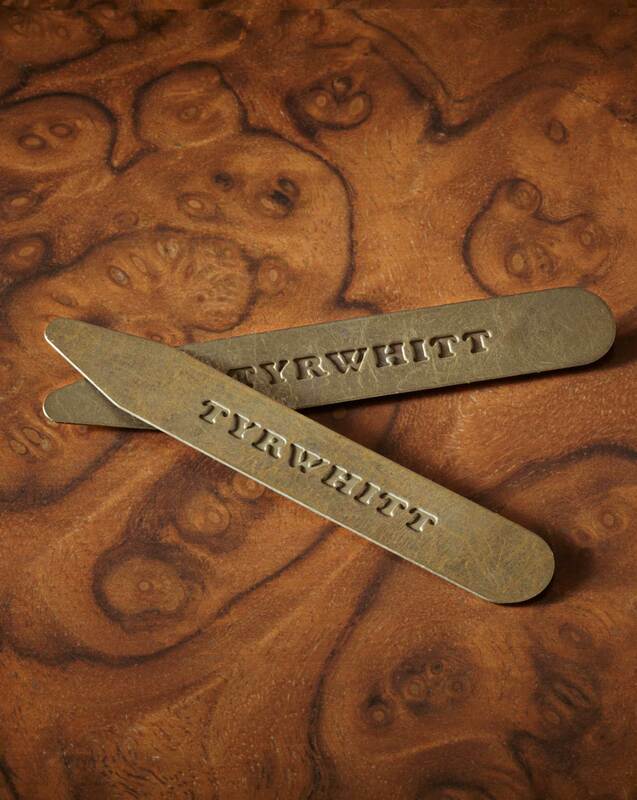 These hardy rhodium-plated stiffeners will keep your collar points pristine." Always excellent, very happy with everything. Arrived without a box in a paper bag. I contacted CT and was told that the box is being sent separately but still not received it after 2 weeks. Response from Charles Tyrwhitt: Thank you for raising this with us. I know my colleague Lucy made enquiries with our Warehouse Team concerning this following your email, but she doesn't appear to have received a response. This is disappointing and I have now raised a further query. Unfortunately, it may be the case that the website is incorrect, as I believe they are usually sent in a small Charles Tyrwhitt envelope. Rest assured, I will come back to you directly as soon as I know more. These are nice items, well made. They are collar stiffeners, they stiffen collars.